Only Ferrari 330 GT 2+2 was a truly unique product. 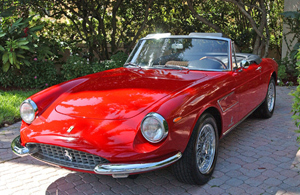 The production of this unique car ended in 1968 with the introduction of the Ferrari 365 series. Find in our shop different Ferrari 330 parts such as Ferrari Parts for Ferrari 330 LM, Ferrari 330 GTS, Ferrari 330 P2. For further information about ouf Ferrari 330 parts drop us a line.